Gateway’s SC Johnson iMET Center hosts the region’s first flexible manufacturing lab dedicated to training the manufacturing workforce, provides an innovative maker space at its nationally known Fab Lab, serves as the center for a number of Gateway academic programs and serves as a catalyst to help area businesses, economic groups and entrepreneurs.Many Gateway engineering technology programs area housed at the center, as well as the college’s nationally known boot camps. Entrepreneurs and the public use the center’s Fab Lab, a maker space offering a wide range of computer controlled tools. The center also houses the college’s Business and Workforce Solutions Division, which offers customized training to area businesses. 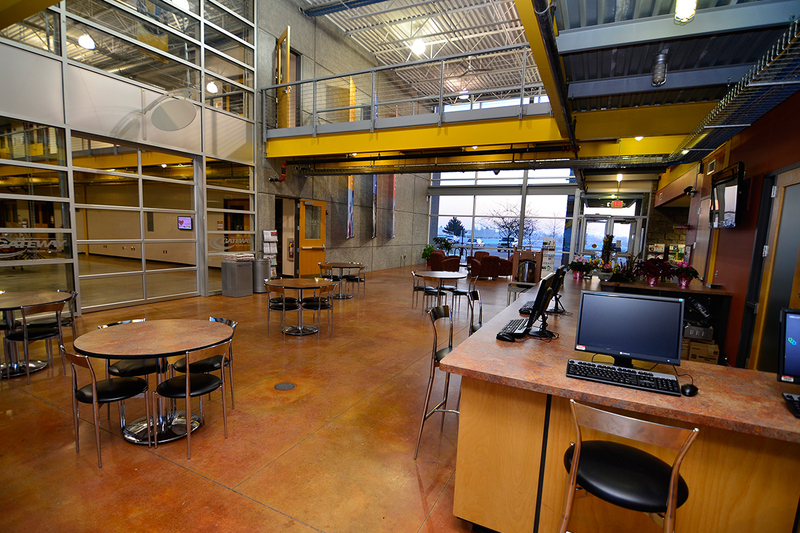 The center provides many different spaces for the public and area businesses to meet and is large enough to hold training events for groups. 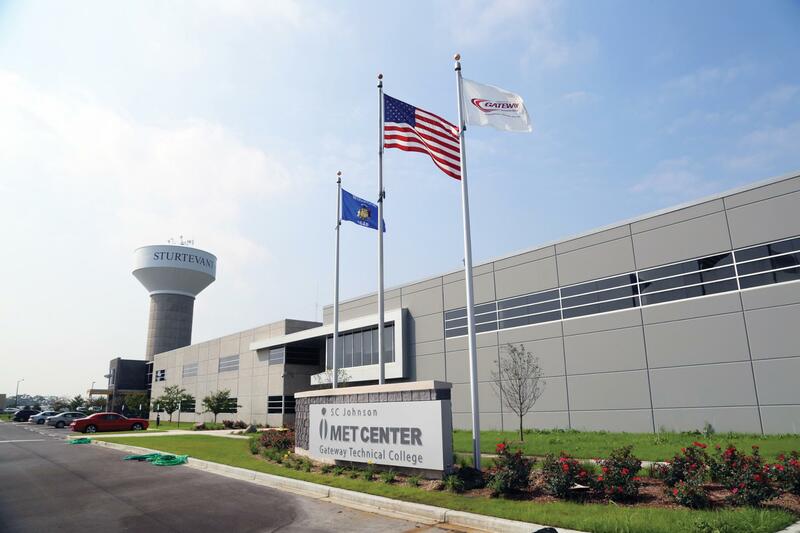 Visitors to the SC Johnson iMET center will see state of the art Engineering, Fabrication, and Manufacturing labs. We will offer tours of the Fabrication lab and manufacturing lab that will last up to 30 minutes. The Fab Lab is highly respected and part of the MIT, Bits and Adams project. A Fab Lab is a technical prototyping platform for innovation and invention, providing stimulus for local entrepreneurship. A Fab Lab is also a platform for learning and innovation: a place to play, to create, to learn, to mentor, and to inventing. 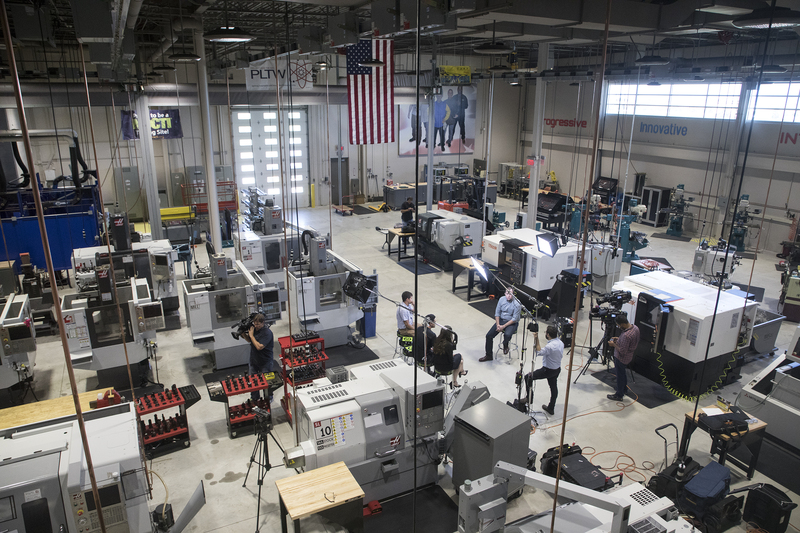 This space is used for modern engineering processes from 3D model printing to laser engraving.